No Eli Roth gorefest or low-budget video nasty, no Hubert Selby or Thomas Hardy adaptation, no Michael Hanecke gutpunch nor the bleakest noir can compare with the work of Werner Herzog when it comes to existential dread. His documentaries and absurdist tragicomedies reach into the heart of human darkness and doomed obsessive weirdness. Even his turns as an actor and producer take him into shadowy, amoral places where grim, sure death awaits. Do you, dear reader, dare follow him there? If so, you must first brave the application for Herzog’s Rogue Film School. Lessons include “the art of lock-picking, traveling on foot, the exhilaration of being shot at unsuccessfully, the athletic side of filmmaking, the creation of one’s own shooting permits, the neutralization of bureaucracy, and guerilla filmmaking.” Have technical questions? “For this purpose,” Herzog writes in his 12-point description of Rogue, “please enroll at your local film school.” This is no beginner’s workshop; it is “about a way of life. It is about a climate, the excitement that makes film possible.” This being Herzog, “excitement” likely involves death-defying danger. Prepare for the worst. But you who are applying for the Rogue Film School know this already. You are up for the challenge. You also know that Herzog doesn’t put himself bodily and psychologically close to—and over—the edge of civilization just for the sake of a thrill. This is art—raw, confrontational, and utterly uncompromising. And so, Rogue Film School will also “be about poetry, films, music, images, literature.” There is a required, eclectic reading list: J.A. Baker’s document of hawk life, The Peregrine, Hemingway’s The Short Happy Life of Francis Macomber & Other Stories, Virgil’s Georgics. Suggested readings include The Poetic Edda, The Conquest of New Spain by Bernal Diaz del Castillo, and—somewhat unexpectedly—The Warren Report. And of course, there is film, “which could include your submitted films,” but will also include a required viewing list: John Huston’s The Treasure of the Sierra Madre, Elia Kazan’s Viva Zapata, Gillo Pontecorvo’s The Battle of Algiers, Satyajit Ray’s The Apu Trilogy, and Abbas Kiarostami’s Where is the Friend’s Home? (if available, he writes—watch it here)---an Iranian coming-of-age movie on BFI’s “Top fifty films for children up the age of 14” list. You will discover ways to “create illumination and an ecstasy of truth.” But do not for a moment think this will involve some middlebrow New Age brand of self-discovery. “Censorship will be enforced,” Herzog warns, “There will be no talk of shamans, of yoga classes, nutritional values, herbal teas, discovering your Boundaries, and Inner Growth.” You will probably eat meat raw from a predatory beast you’ve killed with your bare hands. Herzog is not a guru, transmitting instructions for enlightenment to cross-legged disciples. He is a catalyst, encouraging his students to “go absolutely and completely wild” for the sake of their individual vision. His film school sounds like the kind of opportunity no daring filmmaker should pass up, but should you apply and get rejected, you can still learn a thing or two from the great German director. 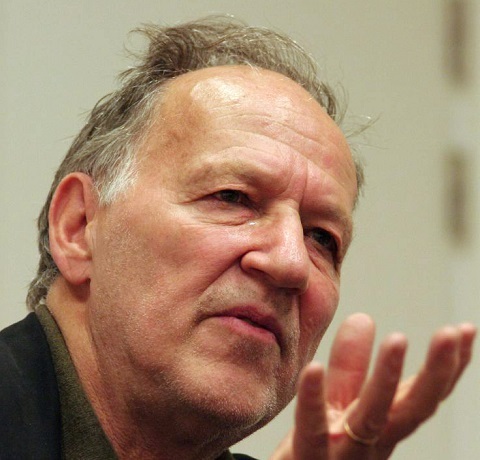 Just watch the video above, “Werner Herzog’s Masterclass.” Herzog shared his wisdom and experience with a rapt audience at last year’s Locarno Film Festival. Among the many pieces of advice were the following, compiled by Indiewire. See their post for more essential highlights from this fascinating session. It's a very dangerous thing to have a video village, a video output. Avoid it. Shut it down. Throw it into the next river. You have an actor, and people that close all staring at the monitor gives a false feeling; that 'feel good' feeling of security. It's always misleading. You have to avoid it. I always do the slate board; I want to be the last one from the actors on one side and the technical apparatus on the other side. I'm the last one and then things roll. You don't have to be a dictator. Never show anyone in a documentary, rushes. They'll become self-conscious. Never ever do that. Sometimes it's good to leave your character alone so no one can predict what is going to happen next. Sometimes these moments are very telling and moving. Dismiss the culture of complaint you hear everywhere. You should always try to find a way deep into someone.